At the rate in which FTWD disposes of its cast members, couldn’t it use a few more? How many characters can TWD spare for its own spinoff? 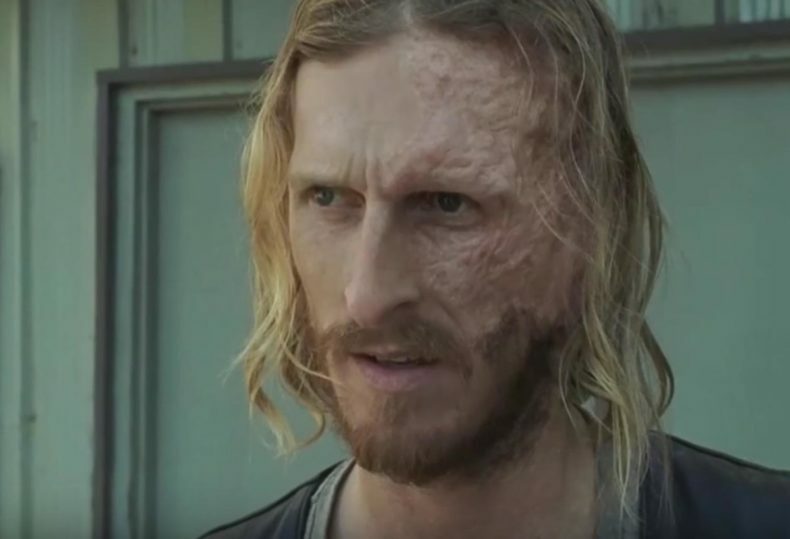 According to Comicbook.com, Austin Amelio has been added to the cast of Fear The Walking Dead’s fifth season. Amelio played the disfigured Dwight on the original series, right-hand toady to Negan at his bat-swinging peak of power. Dwight wasn’t a one-dimensional baddie and had his own reasons for doing what he did, but what kind of role he will play — hero or villain — on FTWD remains to be revealed. Dwight has been absent from The Walking Dead’s ninth season. If you recall, Daryl declared that Dwight could never join Alexandria, and so far he’s held to that banishment. Now we know he split the state entirely, journeying down to where Morgan currently resides. FTWD went through a massive upheaval in its fourth season, jettisoning much of the original cast (only Alicia remains) and adding new characters, such as a camera-obsessed documentary maker with her own machine gun equipped tank. Personally, we’ll take that over Nick. AMC has not announced when Fear The Walking Dead will return to the schedule, but The Walking Dead comes back February 10.